NHS or not, Professor Hawking is a survivor and an inspiration both intellectually and as a person. This is why as an artist, I wanted to do his portrait. The painting you are showing here is from Tai-Shan Schierenberg who did an impressive job. 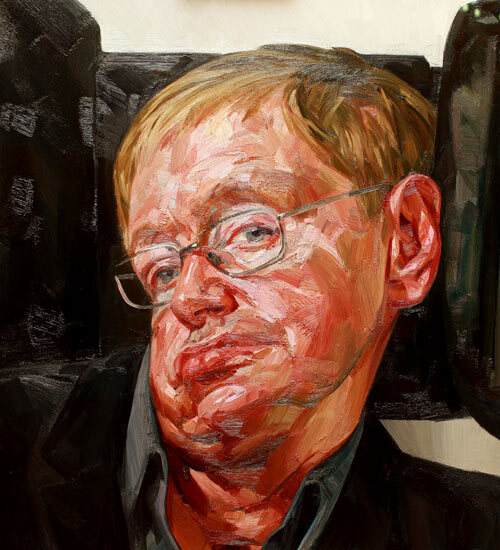 But since I couldn't imagine a fair portrait of Hawking without his life-time obsession: science, I therefore tried to include in my portrait such concepts as Einstein's General relativity while struggling with Quantum mechanics.